Many people believe bottled water is safer to drink than tap water. In some instances it is, regarding contaminated water due to sewage problems, after a natural disaster, or other sanitation system breakdowns. But some studies have indicated that consumers are paying a high price for water that is worse than the available tap water. 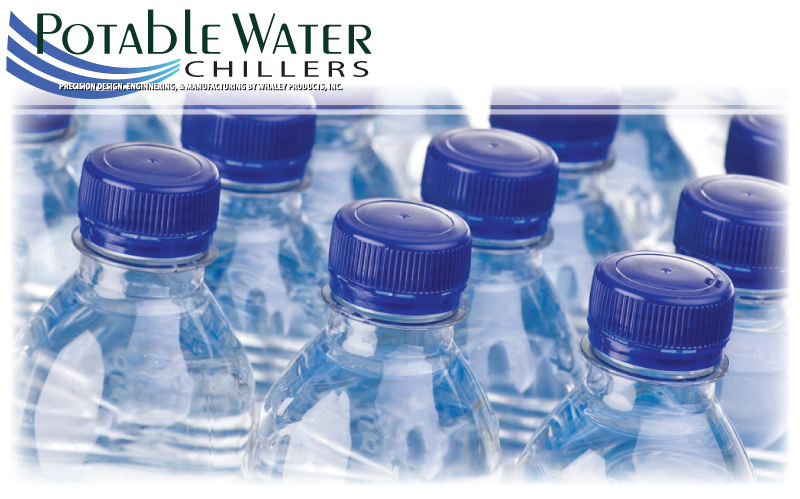 The International Bottled Water Association (IBWA) tests requirements of bottled drinking water. The treatment of bottled water, how it is processed, and the risks associated with bottled water fall under many different regulatory guidelines. 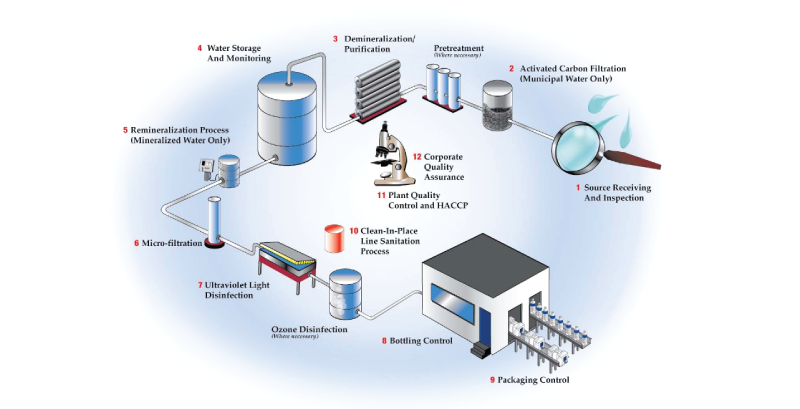 Bottled water goes through many different steps within the manufacturing plant. It starts from a similar water that is filtered and decontaminated for community use. The difference is the filters, how many times water is stored, how much oxidation is used and what is added to “create” pure water. Below is an image of water before it is packaged and shipped out. Some controversies that arise from bottled water are ecological affects, under-regulations, and labeling. Bottled water may taste great, and be convenient but is harmful to the planet. About 90% of bottles used for water goes in the trash, not the recycling bin. Because plastics can be reused, throwing away a bottle in the trash can is very impactful. It takes 1000 years for a single plastic bottle to decompose. Once it is broken down it releases harmful chemicals into the earth. While bottled water follows similar regulations followed by community standards for water quality, bottled water does not follow all of them. For instance, bottled water isn’t treated for E.coli, and a few other major disease causing bacterium.